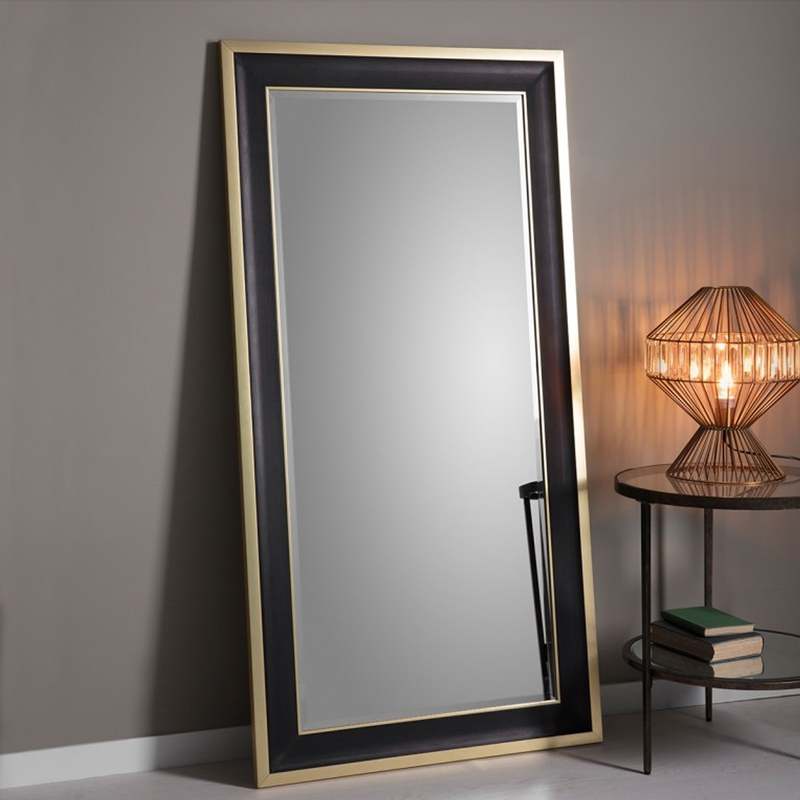 Edmonton Leaner Mirror features a black frame with gold surroundings. Beautifully made, this mirror would look great against a bedroom or living room wall adding luxurious style to your home while spreading light across your home. This mirror is exclusive to our floorstanding mirror range, Edmonton Leaner Mirror is another high quality item we have to offer, only the best for our customers.